Join us for Niagara Falls Canada Day weekend to celebrate Canada’s birthday on the second weekend of the summer! 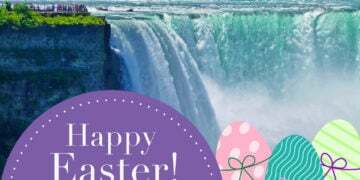 Niagara Falls, Canada is the “place to be” in 2018, as we mark the 151st birthday of Canada! 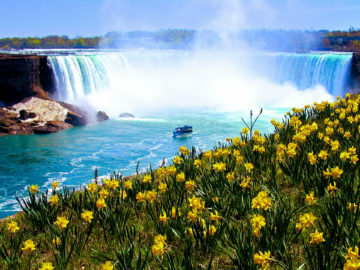 It’s a giant celebration throughout Niagara’s tourist and entertainment areas, as the City of Niagara Falls Canada Day celebrations happen over THREE days spanning from Friday, June 29th through to Sunday, July 1st. 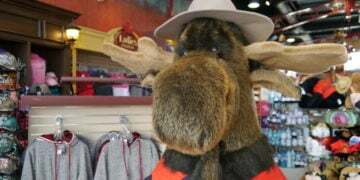 The crowds will gather in Downtown Niagara Falls at Queen Street for the city’s official Canada Day Parade taking place on July 1st, followed by a variety of entertainment, concerts and performances throughout the afternoon. Head to Queen Victoria Park as live entertainment hits the Illumination Stage beginning at 4:00 pm, followed by our world-famous Niagara Falls fireworks show at 10:00 pm. We will be buzzing with activity, as Canadians from across the country flock to the area to celebrate Canada’s 151st birthday in style! 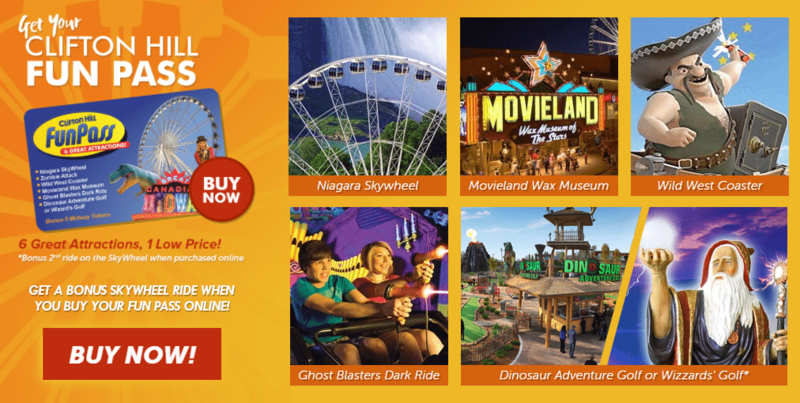 With the Canada Day long weekend fast approaching and hundreds of attractions throughout the Niagara region, its not easy deciding on activities without some degree of uncertainty. To help with this, we’ve provided an efficient road-map here to get the most out of your Canada Day vacation! Niagara Falls Canada Day Fireworks! 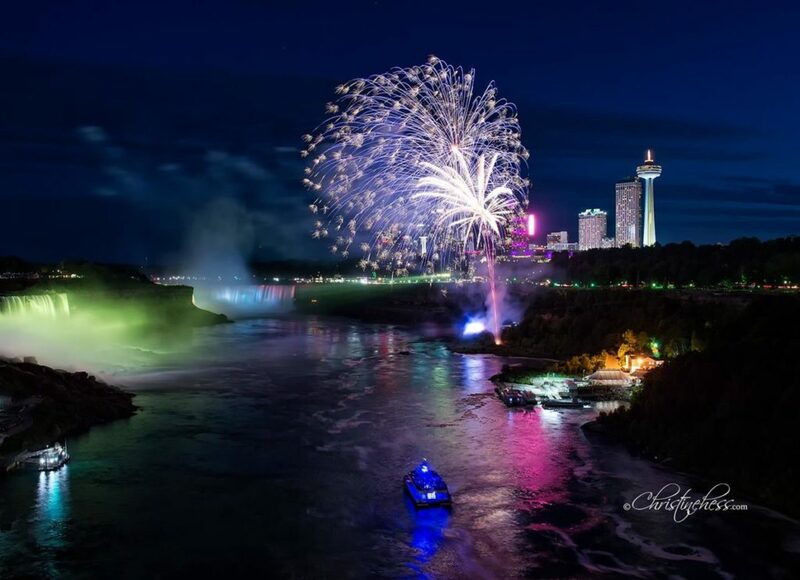 Fired from the base of the Niagara gorge, directly across from the American Falls, a spectacular pyrotechnic display will kick off the weekend celebrations in style! To get the best view, be sure to watch from the bottom of Clifton Hill (Locals secret). These spectacular Canada Day fireworks are provided free for your viewing pleasure by local hotels, attraction and restaurant owners of Niagara Falls, Canada. Another fantastic way to view the fireworks and the beauty of the Niagara Falls is from the 175 foot Niagara SkyWheel. Each gondola can hold up to eight people with panoramic views of the Niagara skyline. Enjoy the comfort of climate-controlled enclosed gondolas. Wheelchair accessible gondolas are also available. 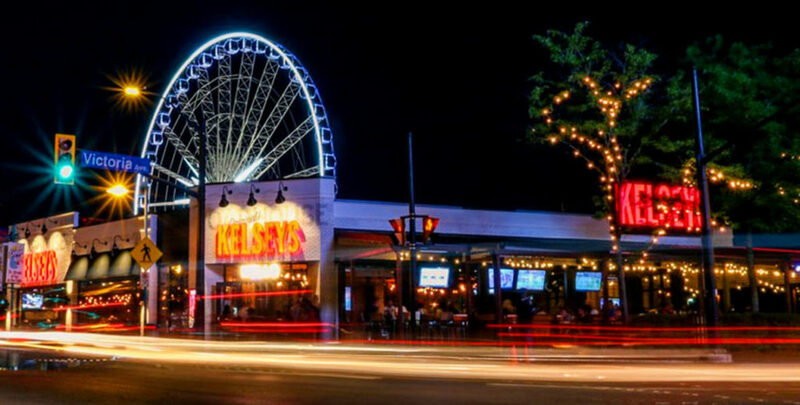 If you are sticking around Clifton Hill for the Fireworks show, grab a seat at the newly renovated KELSEYS Original Roadhouse, with one of Niagara’s largest outdoor patios. We will be hosting live entertainment on the patio daily, so you won’t want to miss the fun and excitement on Canada Day. 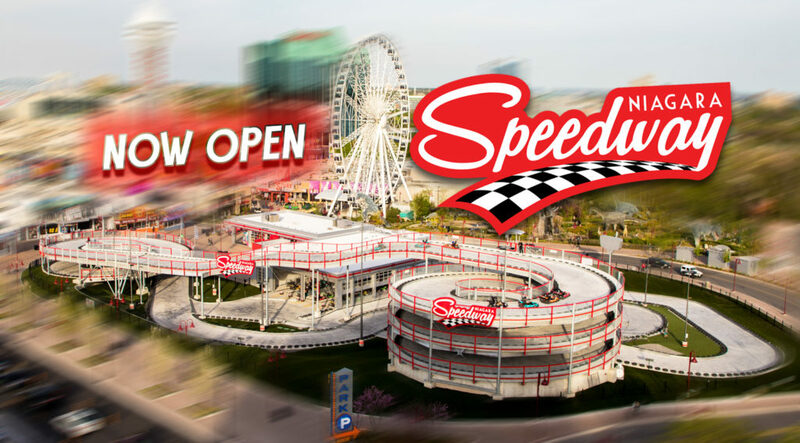 There is so much anticipation for this year’s Niagara Falls Canada Day celebrations, as we have many new additions that have arrived, such as our newest and most exciting attraction, the Niagara Speedway. The Speedway combines traditional go-karts with the added fun and excitement of an elevated coaster styled track. This our most talked about attraction, with a track that spans 2000 feet and climbs up a 4-story spiral before you head down the ramp! 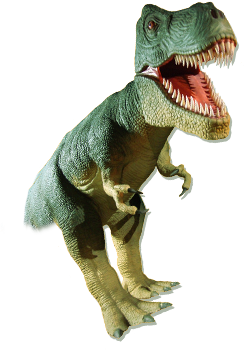 Only one year old, is another family favourite for you competitive spirits — the Zombie Attack! 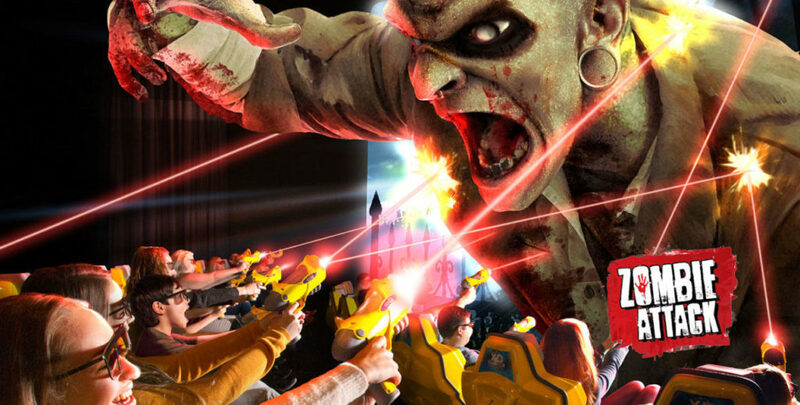 Survive brain-hungry zombies in this multi-sensory adventure, featuring real-time 6D graphics. Challenge your family and friends in the scoring battle to prove who is champion of mankind. 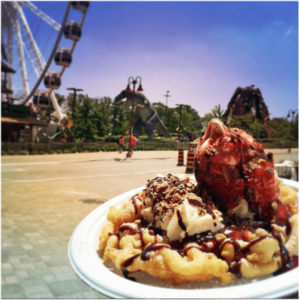 Stop for a delicious treat afterwards, as next door to the Zombie Attack is our new concession booths that serve up pizza, hot dogs, french fries, and funnel cakes! It’s easily one of Niagara’s favourites! 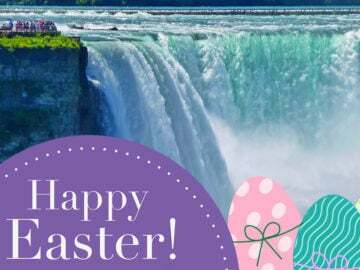 The Hornblower Niagara Cruises let’s you experience Canada’s most spectacular wonder of the world. 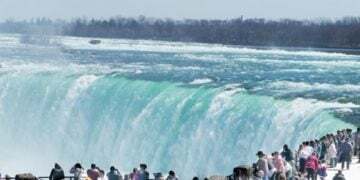 Within the Niagara Great Gorge, the catamarans will journey past the American Falls, Bridal Veil Falls and into the very heart of the famous Horseshoe Falls. 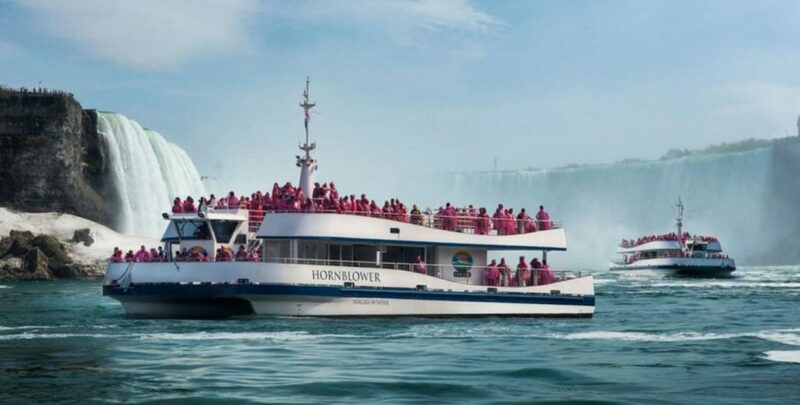 Hornblower Niagara Cruises is located on the Niagara Parkway at the north end of Queen Victoria Park, close to the Rainbow Bridge and the Oakes Garden Theatre at the foot of the Clifton Hill tourist area. 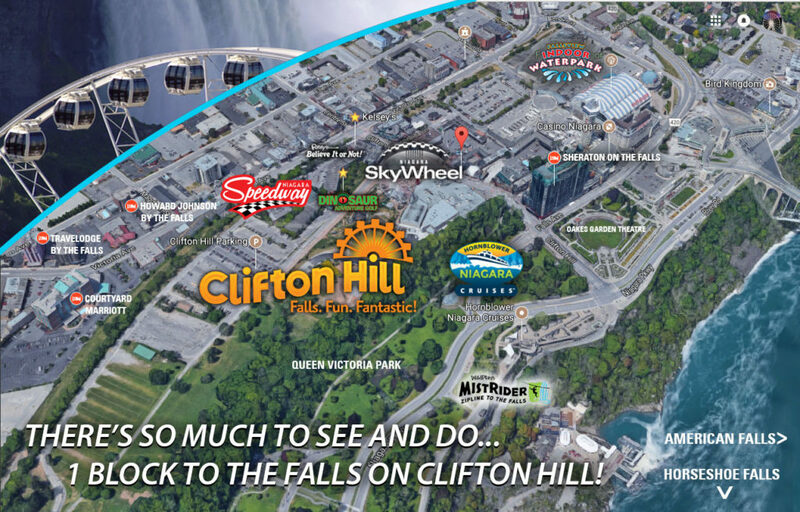 The best way to catch serious savings on attractions with the family is to purchase our SIX (6) attraction Clifton Hill Fun Pass. 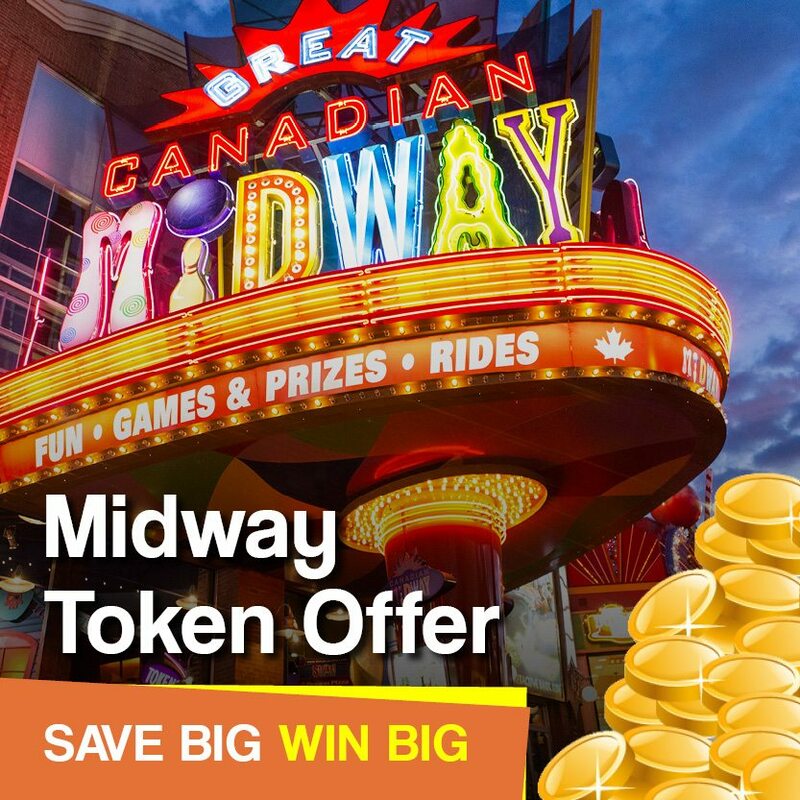 Online only, you can purchase 160 Great Canadian tokens for $50 ($44.25+tax) with our Midway Family Token Offer. This is a free event at Fort George in Niagara-on-the-Lake at 10:00 am, but begins at 8:00 am with a pancake breakfast and BBQ lunch in Simcoe Park, followed by a BBQ dinner at Fort George and fireworks in the evening. 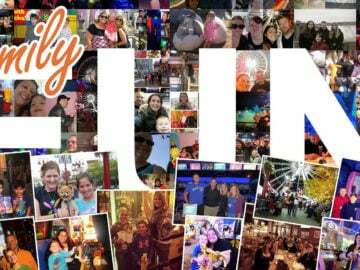 It’s a family fun day, which includes music, food, fireworks, muskets, cannon firings, local heritage group displays, antique auto displays and fireworks to celebrate this 29th annual event. Call 905-468-6621 or visit them online at www.friendsoffortgeorge.ca. 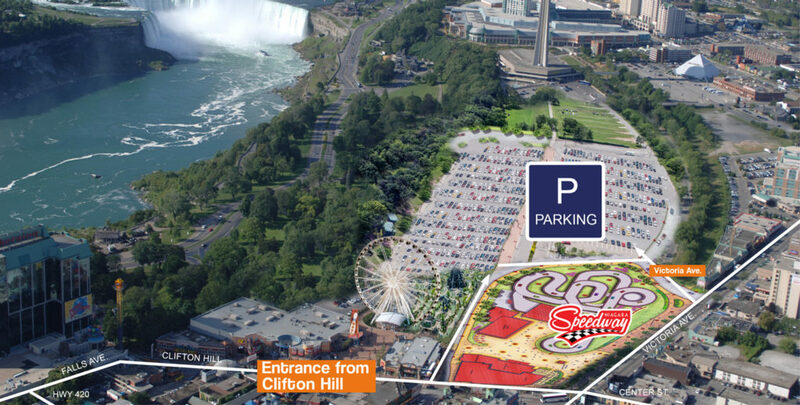 You will find plenty of parking over the Niagara Falls Canada Day weekend at this lot pictured in the map below. This parking lot has recently been expanded to hold 700+ vehicles. It’s only a 5 minute walk down Clifton Hill to the fireworks show. Remember, Niagara Falls will be busy for Canada Day — which means parking will be scarce throughout the city. This lot can accommodate plenty of vehicles, and is just steps away from the Fallsview district for those of you who wish to do a little gambling at the Fallsview Casino Resort.